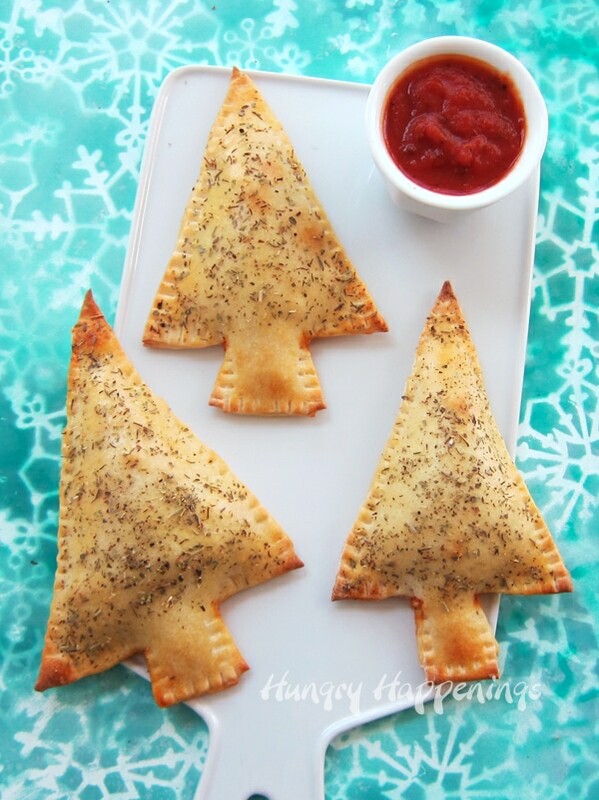 Calzone Christmas Trees - Festive Meal for the Holidays! December 5, 2017 By This post may contain affiliate links. 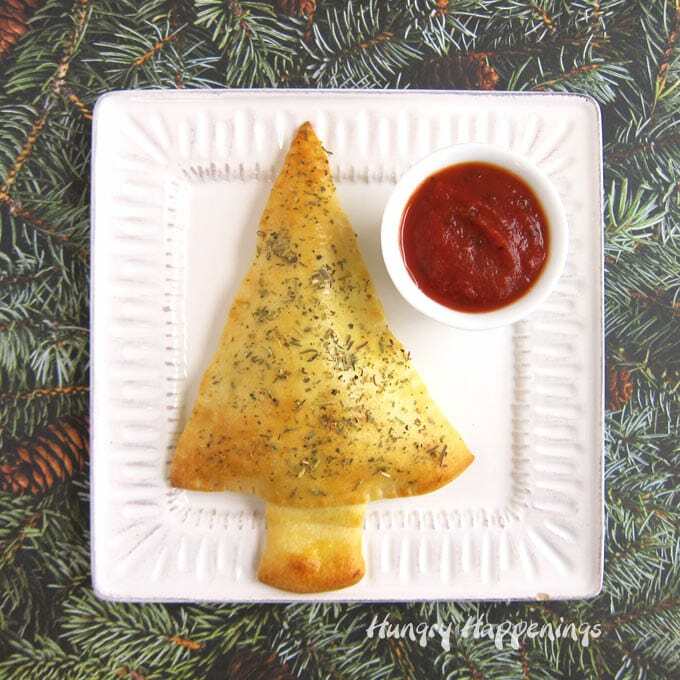 Your family will love having these Calzone Christmas Trees for dinner any time over the holiday season. I plan to bring them to the Christmas Eve party at my parent’s house. Each year on December 24th my parents host the most amazing celebration for our family as well as those friends who don’t have any family in the area. We’ve been together on Christmas eve for so many years that all those friends feel like part of our family. We have such a wonderful time together playing games, opening gifts, and eating. We always try to have some meatless options for our guests to enjoy being we often have a few vegetarians in the group. 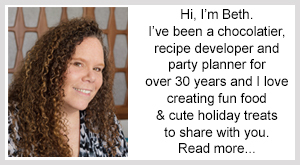 I love incorporating MorningStar Farms® products into some of the recipes. This holiday season you can save $3.00 when you purchase 3 of their products. Whenever I bring a dish that I have not made previously, I have to experiment ahead of time and I love when it’s a dish I can share here with you. 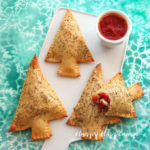 I had so much fun making these Christmas Tree Calzones and even more fun eating them. They are so good. You’ve got to taste it to believe it! To make the calzones I stuffed tree shaped pizza dough with MorningStar Farms® Grillers® Crumbles™ along with a blend of ricotta, mozzarella, and Parmesan cheese. Then I add roasted red peppers, marinated artichokes, and tomatoes along with some pizza sauce. The combination of veggies along with the protein packed Grillers Crumbles makes for the perfect calzone filling. The bright flavors pair beautifully with the creamy cheese. Did you know that the crumbles contain 75% less fat than regular ground beef, and have 9 grams of protein, making them welcome veggie addition to almost any dish? You definitely do not need to be vegetarian to enjoy this fun holiday meal. Watch the video to see how quickly these festive Calzone Christmas Trees come together. You can use homemade or store-bought pizza dough. If you can’t find round dough, roll out the rectangle of dough and cut a large circle in the center. Cut out the triangles as shown in the video, then use the edges of the dough to make the trunks for the trees. Bake the trees with the points facing toward the oven door. The back of the oven is usually hotter and the tips of the trees will darken the quickest so it’s better to have them near the cooler front of the oven. You can mix all your toppings together then spoon them on, if you like. I used two different brands of dough when developing the recipe for these Calzone Christmas Trees and they both baked at different rates. One was browned within 10 minutes while the other took 14 minutes. Watch them as they get close to the 10 minute mark. 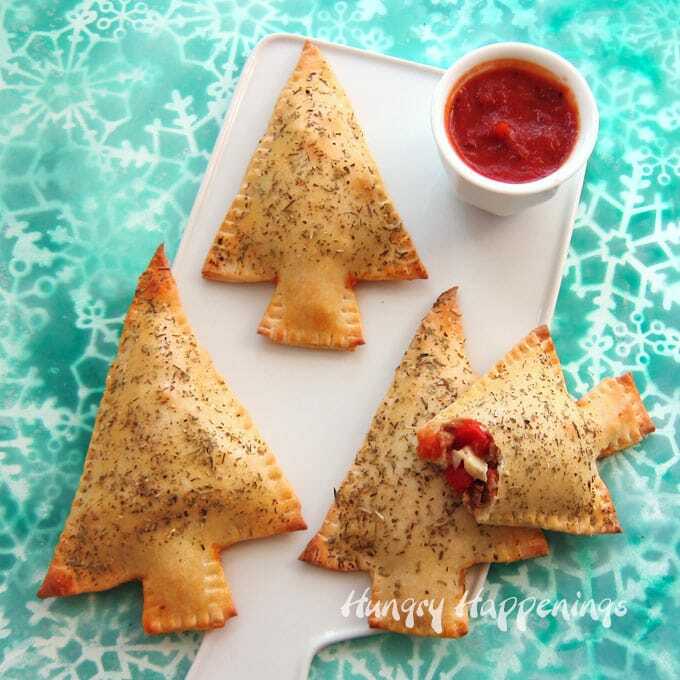 Christmas tree shaped calzones filled with MorningStar Farms® Grillers® Crumbles™, veggies, cheese, and pizza sauce. In a small mixing bowl, blend together ricotta, mozzarella, and Parmesan cheese, along with a pinch of salt and 1 tablespoon of egg. 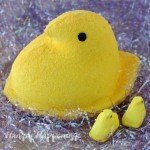 Spoon into a disposable pastry bag or zip top bag. Unroll dough onto a flour dusted cutting board. Cut each round of dough into 8 wedges. Cut a 1 inch trunk out of the curved edge of each wedge of dough, removing excess. Set one of the trees on your work surface and brush egg over top. Pipe or spread a thin layer of the cheese mixture onto the tree, leaving about 3/8 inch of dough uncovered around the border. Top with 1/8th of the MorningStar Farms® Grillers® Crumbles™, pizza sauce, roasted red peppers, marinated artichokes and tomatoes. Seal the edges then use a fork to crimp the edges together. 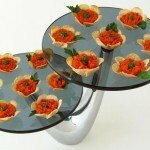 Repeat creating a total of 8 calzone trees. Set trees on a baking sheet. Brush egg over top then sprinkle on Italian seasoning. Bake for 10-14 minutes until golden brown. Serve hot with more pizza sauce. 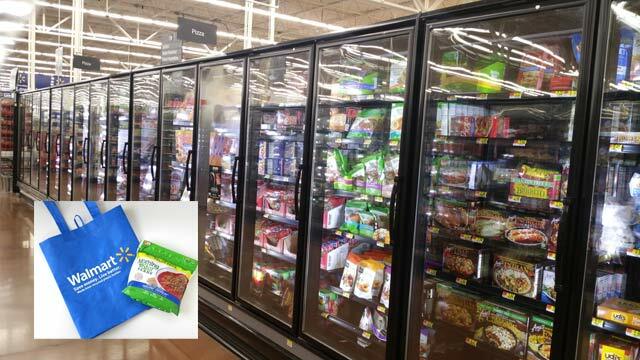 You can find the MorningStar Farms® Grillers® Crumbles™ along with MorningStar Farms® Chipotle Black Bean Crumbles™, Chik’n Strips, Steak Strips, and more in the freezer section at Walmart. It’s easy to swap out a meat-based meal with a veggie meal by using the MorningStar Farms products. 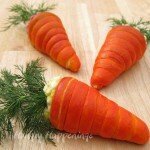 Have fun trying out some of the recipes on the MorningStar Farms website. 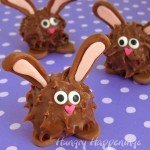 There are some really creative ideas for breakfast, lunch, dinner and snacks. 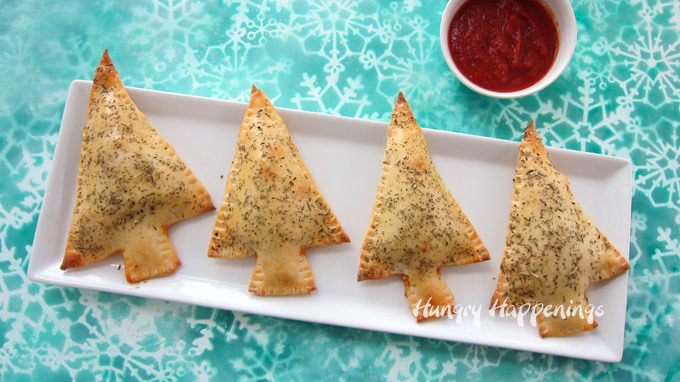 Enjoy making these Calzone Christmas Trees for your family this holiday. 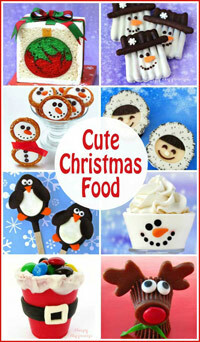 Be sure to check out all of my savory and sweet Christmas Recipes. There’s more than 100 to choose from. 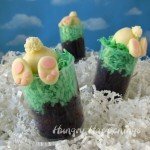 Could I prepare these a few hours ahead of time and keep them in the fridge until I’m ready to bake them? Hi Kayla, I have not tried that before, but if you do, be sure to wrap up the tray of calzones really well before you refrigerate it. 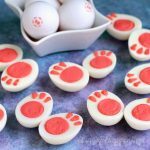 I would hold off on adding the egg wash to the outside of the dough until just before you bake them. Let me know how it turns out.